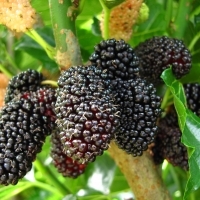 Daleys Fruit Tree has Plants for Sale to Tugun and can Mail Order them to you door. Click to Find out how much Freight Will Cost. 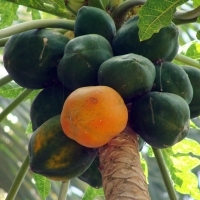 Large, sweet fruit can reach up to 10cm in length. 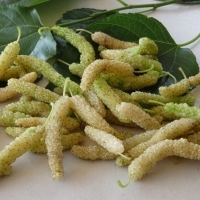 Delicious eaten fresh but can also be sundried and eaten as a sweet. Medium sized, spreading tree with a weeping habit, excellent shade tree. Birds love them too so make sure you cover them if you don't want to share. You can also get multiple crops by pruning immediately after your first crop. 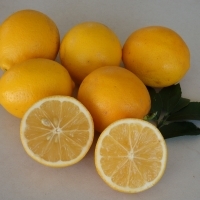 The popular Meyer is not a true lemon but likely to be a natural hybrid between a lemon and an orange. The lower acidity and reduced bitterness makes it one of the most widely grown home-garden varieties. Very hardy and prolific.